"They call me 'SAS' (Super Alien Squirrel). My eyes glow, and I can freeze in place." "If I just don't move, maybe she won't see me." "No one here but us tree statues." "I think I ate a tainted nut." "Sometimes you feel like a nut..."
"Wait! Was that Nuts Anonymous meeting today?" "This tree is exclusive; only squirrels with membership cards get in." LOL What a nutty post. How about..."Come on...take the photo. 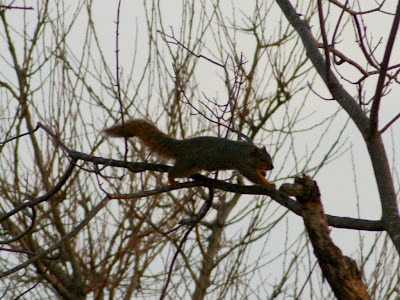 I can't hold the poses forever" 8v) Nice Squirrel photos. Very cute post on a nutty squirrel! Welcome To The Nuthouse! Lol! Great photos, Misty! You are nuts, but lovely. Always such fun. Ha ha! I like the idea of Super Alien Squirrel. :) Cute! Mine is now up too! 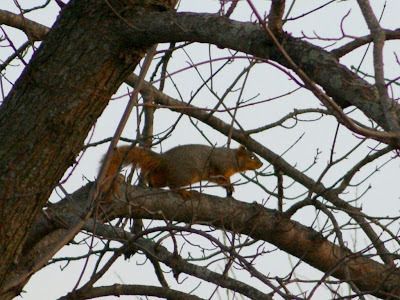 Misty: Cute shots of the fox squirrel in the tree. Squirrels are fun to watch, aren't they? Love this! Just wondering where squirrels KEEP those membership cards?? ?